Whatever is revealed about SYRIZA’s ties to vested interests is fake news for the government. 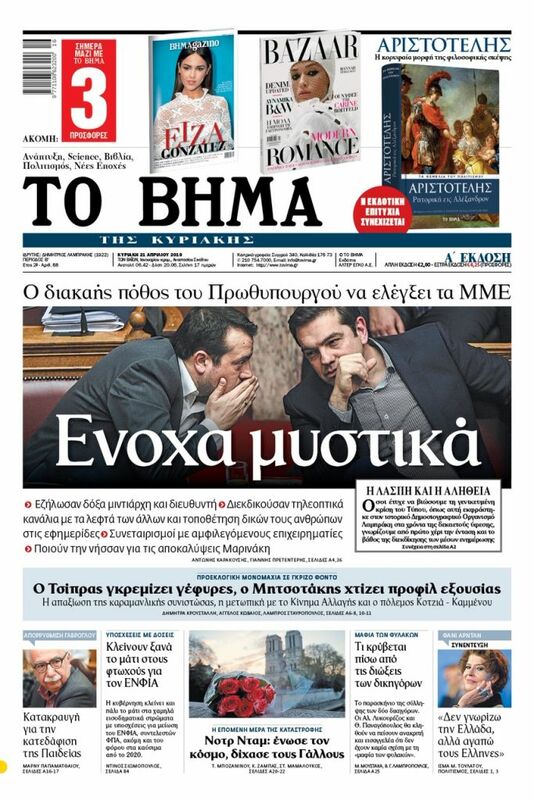 According to the government spokesman, who is the authentic interpreter of the views of the PM’s office, all that has been revealed about the ties between Manolis Petsitis and Alexis Tsipras’ right-hand-man, Digital Policy Minister Nikos Pappas, and about the DEPA (gas company)-Lavrentiadis scandal are merely a diversionary tactic which was concocted by the opposition to draw attention away from the Novartis scandal and was magnified by the media. Obviously, the spokesman, Dimitris Tzanakopoulos, has a double standard in judging scandals and a problem with his hearing and sight. He is not listening to or reading what his own comrades – and not the opposition – are saying about the case of Petsitis, who claimed to represent the PM’s office in the talks to settle the huge debt of Lavrentiadis’ company to state-owned DEPA. 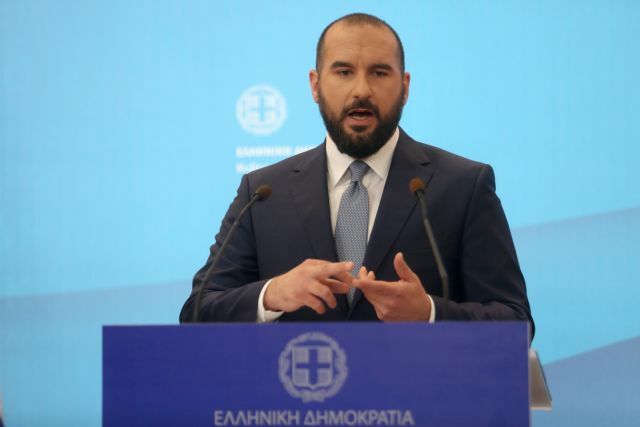 Tzanakopoulos did not hear the statement of SYRIZA party secretary Panos Skourletis who declared that the people want answers about what was going on with Petsitis (answers which presumably would have to be given by Pappas and Petsitis himself). Skourletis said Petsitis had caught his eye somewhere and that he knew of his ties to Pappas (they were also schoolmates). He said that wherever the slightest shadow exists answers must be given and that he supports getting to the bottom of the case. Tzanakopoulos obviously was not aware of the remarks of SYRIZA MP Sakis Papadopoulos, who said that no party cadre has the moral advantage (which SYRIZA often claims it has as an unblemished left-wing party) if he or she does not demonstrate it with their behaviour, their associations, and the general stance in their lives. Obviously these are mere details for the PM and his spokesman. They have no compunction in targeting, unleashing charges against, and dragging through the mud anyone who in the past has been in a position of power – even briefly, as former caretaker Prime Minister Panagiotis Pikrammenos. Whatever is revealed about SYRIZA’s ties to vested interests, however, is fake news for the government. The ruling party’s fairy tales cannot persuade anyone. Everyone is now familiar with SYRIZA’s embrace with older and newer big business interests. Petsitis’ intervention and mediation in the DEPA-Lavrentiadis affair has been confessed and is common knowledge. It is time for the government to stop feigning indifference and peddling the old chestnut about fake news, because sooner or later they will be called upon to provide clear answers. As it seems the comfort of power will not last long for the ruling party, so they cannot pretend to be incorruptible judges. Citizens are by now abundantly aware that the very people who were and are blasting the “old” political system are in fact worse than the old regime.